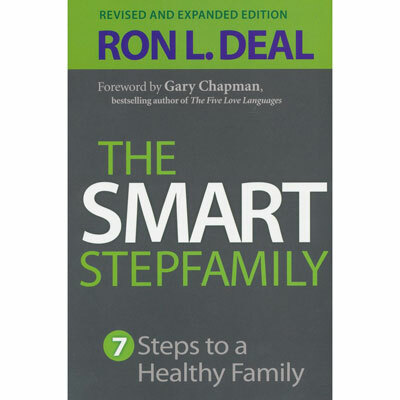 In The Smart Stepfamily, leading expert Ron L. Deal reveals the seven fundamental steps to blended family success and provides practical, realistic solutions to the issues you face as a stepfamily. Whether married or soon-to-be married, you'll discover how to communicate effectively and solve the everyday puzzles of stepchildren relationships. This revised and expanded edition is 50% new and has updated research and two new chapters with more real-world advice on stepsibling relationships and later-life stepfamilies. Based on Ron's nationwide stepfamily seminars, this book is also great for small groups, pastors, and counselors. A Small-Group DVD Resource as well as a Participant's Guide are also available. "Ron Deal has, by far, the best material available on stepfamilies. The insights and suggestions he shares work. Every stepfamily will benefit from reading this book." "I love this book! It adds an important dimension to the understanding of stepfamilies and reads as if sitting down with wise friends. Written on the 'information is power' premise, The Smart Stepfamily weaves together a review of biblical materials, current psychological and sociological research, best practices, practical insights, and anecdotal stories to educate and support stepfamilies and the clergy who serve them." Ron L. Deal is Director of FamilyLife Blended™ and President of SmartStepfamilies.com. He is a family ministry consultant and conducts marriage and family seminars around the country; he specializes in marriage and stepfamily enrichment. Ron is author of the bestselling book and DVD curriculum The Smart Stepfamily and author/coauthor of The Smart Stepmom, The Smart Stepdad, and The Remarriage Checkup.